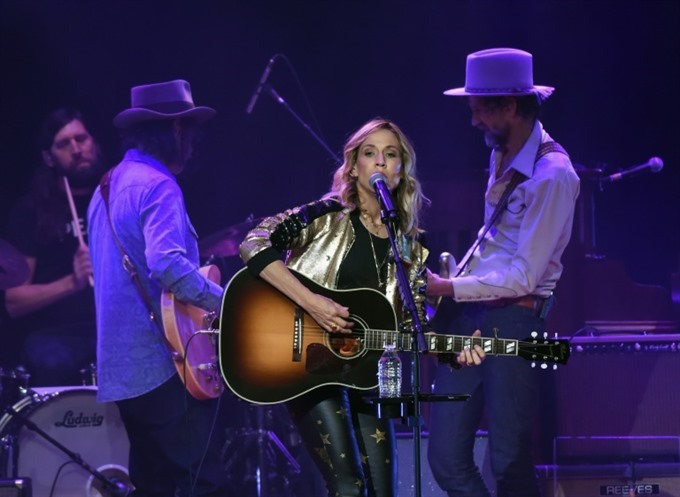 NEW YORK — Sheryl Crow says she is finished with recording albums and will put out one final full-length record next year with an all-star list of collaborators. In an interview broadcast on Monday, the nine-time Grammy winner said that her 2019 album will feature Stevie Nicks, Keith Richards, Don Henley and the late Johnny Cash. The country rocker, who is best known for her 1994 smash hit All I Wanna Do, said that she will still put out individual songs. "I do think that albums... are a little bit of a dying art form, that people are more interested in singles," she told the syndicated radio host Kyle Meredith. "It feels great not to spend the time in the studio to make a fully realised, conceptual album but just to put out really pertinent songs that feel immediate," she said. While many musicians still see albums as focused artistic statements, others -- especially in hip-hop and electronica -- prefer to put out music at their own pace. Crow said she considered it was a "luxurious time to be an artist" as she handles her outrage following the election of President Donald Trump.